Critical infrastructure specialist Vertiv has acquired the genset service and maintenance unit of UK-based MEMS Power Generation. 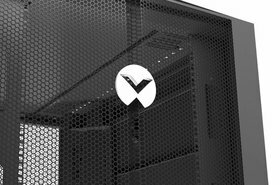 The deal is Vertiv's third acquisition since it was spun off from Emerson in 2016; it bought thermal management company Energy Labs and PDU maker Geist earlier this year. MEMS specializes in diesel generator hire, delivery and maintenance - including an emergency generator service that's available 24 hours a day, 365 days a year. 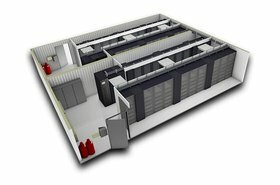 Vertiv CEO Rob Johnson called MEMS "a natural fit" for Vertiv's existing UK business, adding that "by strengthening our capability in generator maintenance, and expanding our service offerings in critical infrastructure in EMEA, we’re well positioned to offer customers an unmatched suite of services." Vertiv says the acquisition is in line with its growth strategy - and indeed, it seems to match the type of business model the company has endorsed earlier this year: in an interview with DCD for the August/September issue of DCD>Magazine, Johnson explained that Vertiv wants to become more channel-focused, and rather than selling equipment at all costs, the company was veering towards packaging as much as possible as-a-service. 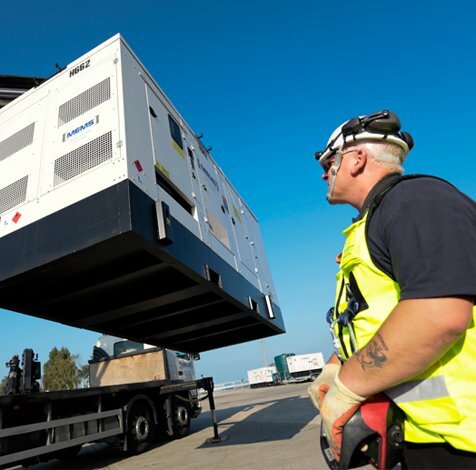 Gillingham-based MEMS will continue offering its diesel generator rental services - leasing single gensets rated from 30kVA to 2,000kVA, with the ability to install parallel systems providing up to 25MW of temporary power - for disaster recovery, as well as during site surveys and generator servicing.